Diamond-Brite Varnish Stain is an easy way to change the color of your currently stained or polyurethane finished wood. There's no stripping or heavy sanding necessary to remove the old finish! Simply give it a light sanding with fine-grit sandpaper, remove sanding dust, and brush on a coat of Diamond-Brite Varnish Stain. Why change the color? There could be various reasons. You may want to match a particular furniture item to your décor, update a tired room, or re-style an older piece. 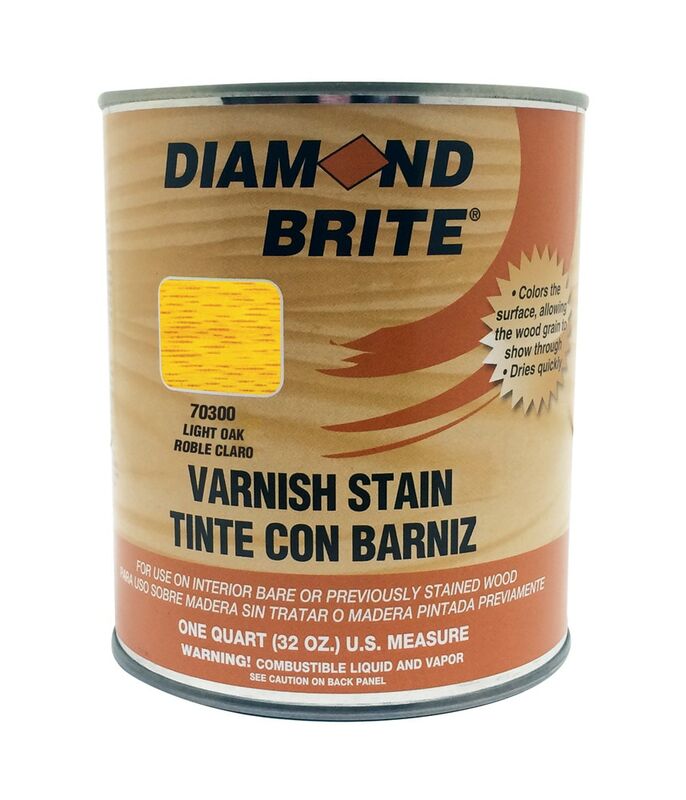 Diamond-Brite Varnish Stain is offered in 6 pre-mixed colors. It is important too understand that if the user chooses not to strip the current finish completely before applying Diamond-Brite Varnish Stain, the color will vary depending upon what color it is going over. The wood graining in the wood will show through when completed. 4-6 Hr Dry Time. 24 Hr Re-coat Time. 400 Sq. Ft Coverage per Gallon. Mineral Spirits Clean-Up. Protect from freezing. Features new 2015 shipping packaging and painting instructions.